Tired of wasting time on social media and getting absolutely no results for your recruiting business? Don’t give up on Facebook, LinkedIn and Twitter just yet! 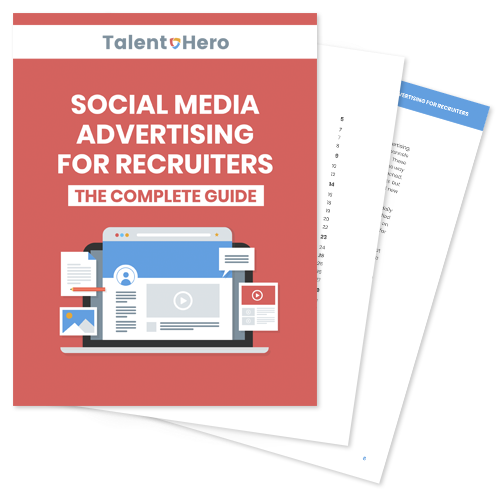 In Social Media Advertising For Recruiters, I’ll show you how to create social media advertising campaigns that drive new clients to your recruiting business in droves. Inside this ebook, you’ll find a discussion of everything you need to know including understanding the marketing funnel, setting conversion goals, targeting your audience, designing copy and visuals and tracking your results. Start finding new business on the same platforms where your customers are already spending their time with Social Media Advertising For Recruiters.